Generally, you want to pickup design patterns as soon as you first encounter them, this way – you’re not putting anything away for later, and you can also acknowledge to yourself that you’re at that stage of development for a reason. Learning software design patterns is pretty much natural, and will be required of you in some form throughout your career. Reusing, and using design patterns can greatly enhance the quality of the development process, because in most cases – everyone else will already know the particular pattern, making it easy to move on from one thing to another. Creational – used for class instantiation. This pattern can be further divided into class-creation patterns and object-creational patterns. Structural – used for Class and Object composition. Structural class-creation patterns use inheritance to compose interfaces. Behavioral – used for Class’s objects communication. Behavioral patterns are those patterns that are most specifically concerned with communication between objects. You get plenty of sub-classes for each, too many to go into specific detail, and so it’s better to take the approach of learning from books, than trying to tailor together a bunch of articles to try and make sense of it all. I’m going to assume you’ve got some idea of how it all works, and how it affects your workflow, so with that in mind – lets get down to our list. It’s been specifically curated for this particular subject – design pattern books – and all the books in the list are recommended by the majority of the programming community. 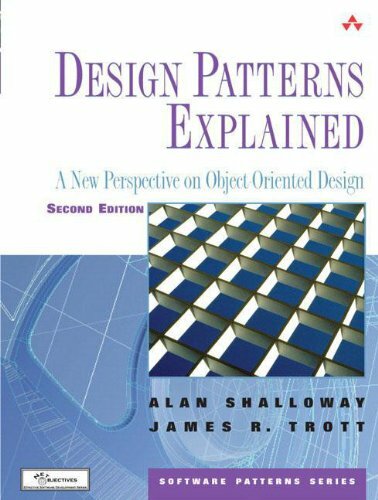 It’s known for having some of the best design pattern descriptions that can be found in any book on design pattern principles. It’s a book that’s both engaging, and packed to the boot with information that will never leave you hanging at any given moment. 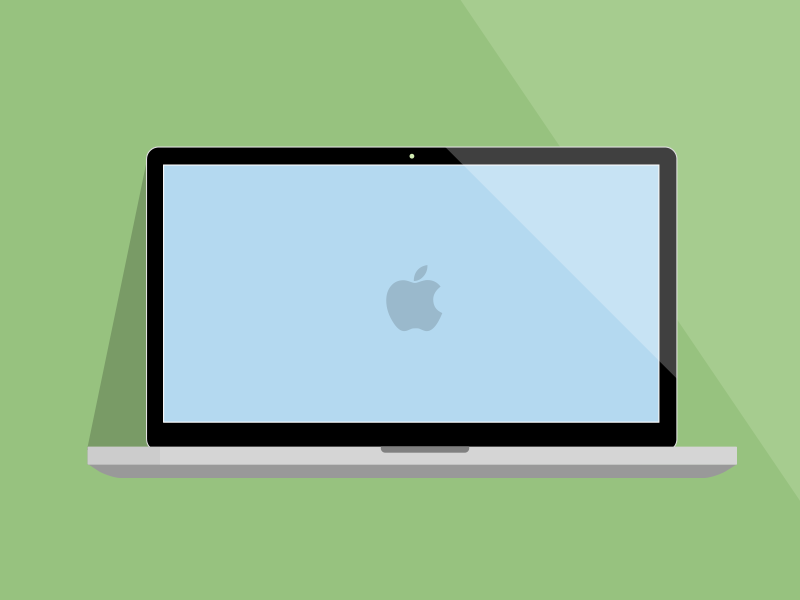 You might have heard of it already, multiple times, and only because it does exactly what the title says it would: it gives you a head first look into design patterns, how to approach them and most importantly – how to implement them in your software. I just published a new post on how to learn Ruby online, and so I believe that this book will accompany that journey very well. 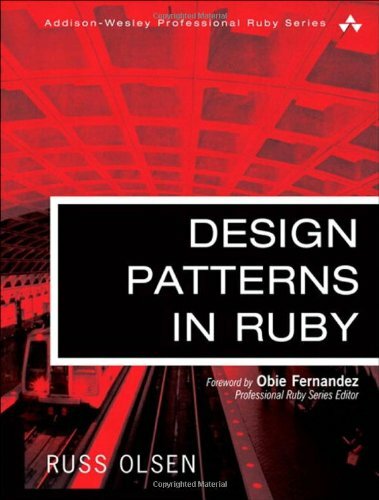 Besides, it’s been highly acclaimed in the community, and even those who’re not so familiar with Ruby – have read, and recommended this book to the community. by the end of it, you’ll know how to use all three, all at once. It’s a powerful combination, and instead of making you think that none of it is going to help you along your path, you actually get a sense of realizing that there are better ways of approaching some of the common problems you encounter. I love the fact that for the most part, in programming, not much is changing and for something to change, a lot of people have to approve of it first. In this book, we’re diving deep into the object-oriented design and learning how we can use it our advantage, to make building design patterns easier and less of a thing of worries. 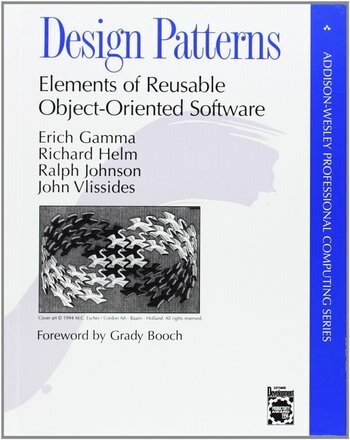 You could say that this book is essential to anyone who wants to learn more about software design patterns, and is so sophisticated that even while you’re reading it, you’re going to start noticing all these patterns that start to appear within the frameworks and workflows you work from. Perhaps you have been using an object-oriented or object-based language for years. Have you learned that the true power of objects is not inheritance but is in “encapsulating behaviors”? 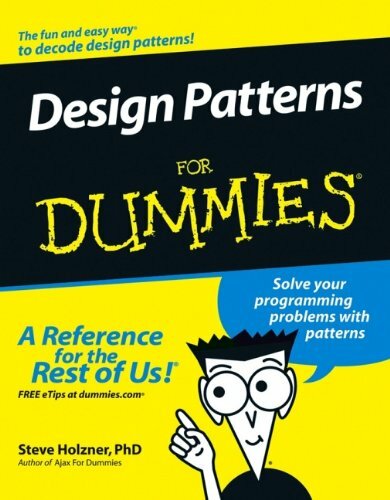 Perhaps you are curious about design patterns and have found the literature a bit too esoteric and highfalutin. If so, this book is for you. I love this book because you’re learning both design patterns, and about the thoughts that originally lead to those design patterns, knowledge which you can use to your advantage to either develop your own patterns, or to help strengthen your software even more. I suppose the big picture of this book is the fact that it wants you to look at things from a perspective of seeing everything in patterns, rather than looking at everything as a small piece of detail on a big piece of paper. You don’t have to tell me how naive these books can be, but they’re pretty good starting points for the complete beginner, which is kind of the audience I am trying to target anyway. I suppose the biggest takeaway from this book is going to be the ability to learn how to use design patterns, and use them so that you can reduce the amount of code you’re writing. That is a pretty big feat for many new programmers. It’s practical and gets straight to the point, that’s what I like about this book. It’s a mix of everything in these five books, but most importantly, it’s a mix of knowledge on how to use and apply design patterns within your software and workflow. You’ll not only be grateful that you finally decided to learn design patterns, you’ll be a much more happy person by having acquired a new and valuable skill. The Head First series is often overlooked because of its picture-heavy layout and step-by-step walkthrough starting from the absolute beginner’s perspective on the topic. You can never lose by knowing and applying the fundamentals. 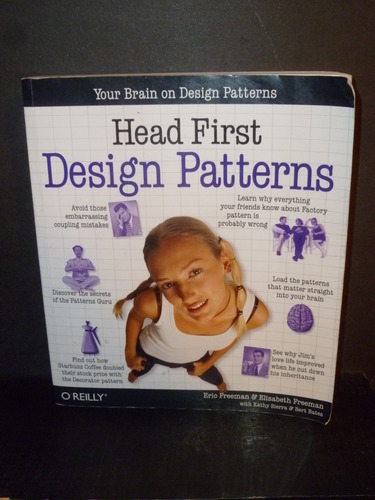 I am with you on everything you’ve said about head first design pattern. Though i thought it was some kind of tutorial.